Use our all-in-one business software anywhere, anytime with our mobile app, built exclusively for septic pumping, grease trap cleaning, portable toilet rental, and roll-off rental companies. Access ServiceCore on the go. Provide better photos and notes from each job site. Spend less time relaying information. Have you ever been out in the field and not been able to connect to your software dashboard? Not having access to your business software while in the field could not only lose you valuable time, but it could also leave you with inconsistent data, lack of technician tracking, and an insufficient workflow. That’s why ServiceCore now offers an app that will help your technicians access the software remotely, no matter where they are. Why Use the ServiceCore Mobile App? The ServiceCore app is a valuable asset for the entire company. Below are some of the top benefits of the app that help with business and workflow. Find all of your job details through your smartphone and tablet. You’ll no longer need to print out paperwork for each job, saving you time and money. Record the duration of each job and track your technicians throughout the day. This will help business owners better manage their employees time and location. Access the app offline when there is no internet available. Many job sites are out of cell service areas, so it’s important that technicians can still access the dashboard no matter where they are. Easily upload and share work notes and photos with the whole team. It’s useful to add photos and notes during a job for future use. 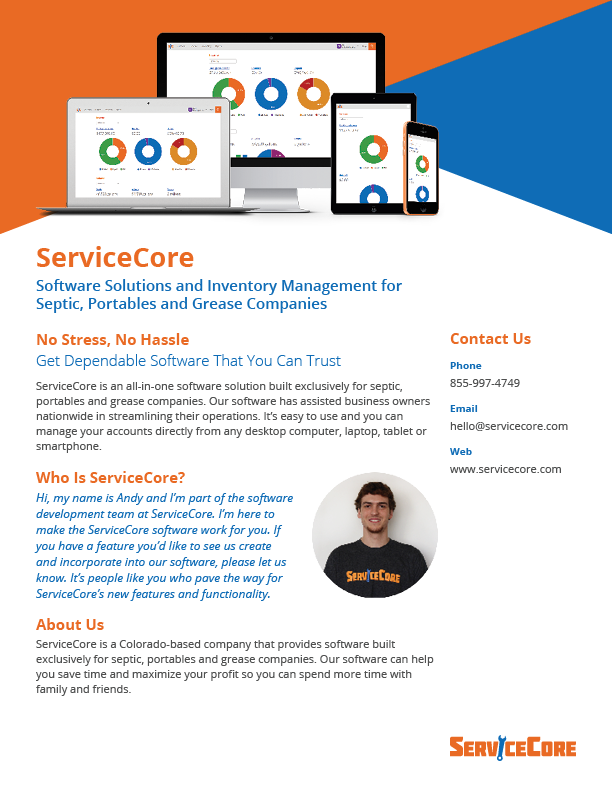 To view the entire list of features that ServiceCore offers, check out our Features page or schedule a live demo today! Ready to run your business more efficiently?